Hey! these links aren’t working anymore. I’m from PK, and would LOVE a copy of these songs. Any chance you could email them to me? Thanks! How is Poughkeepsie today? I´ve never been there. I´ll send you the songs and I will fix the links. Well, this totally explains the “Poughkeepsie – City of Sin” bumper sticker that I have in my possession without really having any idea where it came from. Can I also request a reupload of the songs? I can’t get the link to work either. Thanks for caring. I´ll upload it tonight. Thanks for sharing. Been looking for this song for awhile. 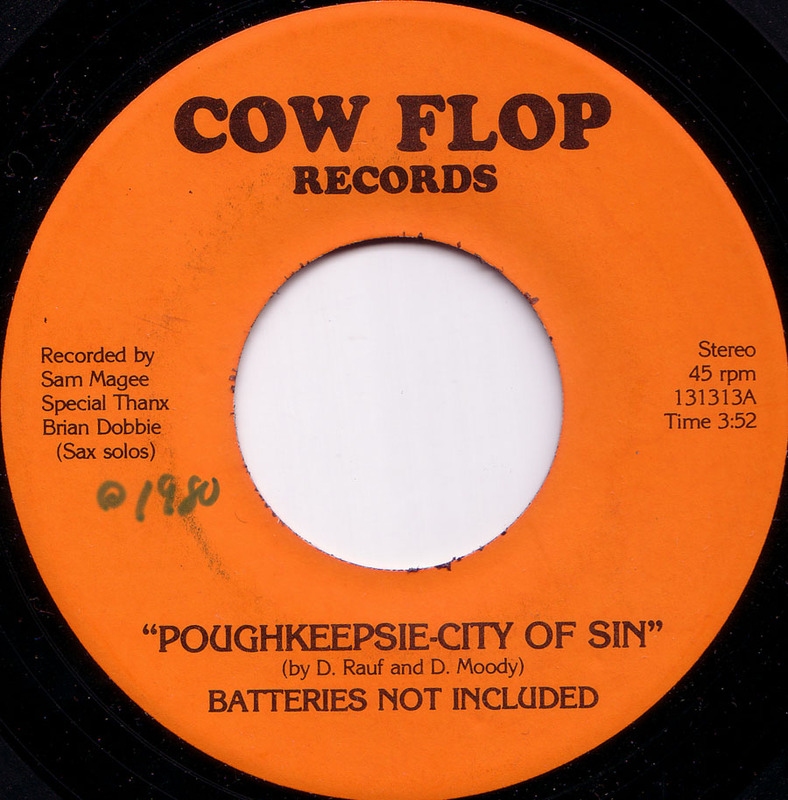 I’m from Poughkeepsie and remember it well. This band eventually turned into the long-running band Life in a Blender, still cranking stuff out to this day, and still incuding the 2 writers of this song. In spite of the most dramatic economic downturn since the Great Depression Poughkeepsie is making a comeback. Stop standing on that corner and look around you. This is a great place raise children, good music venue, cultural arts, educational (Marist, Vassar, Bard, Dutchess Community Colleges), historical sites, and sports. The Valley is the center for enviromental hikers, fisherpersons, birders, etc. Get off the corner and stop inviting SIN in take a stroll over The Walkway Over the Hudson. Hi, I’m the sax player on this old recording (I was a freshman in college) Thanks for digitizing this old song from a bunch of fresh out of high school kids. We actually used to take the train down to NYC and play this song on Amateur Nights at Catch A Rising Star and the Comedy Club. Please email a copy if it’s not too much trouble. Brian Dobbie–If you see this post, drop me a line at don@lifeinablender.net. This song was just too funny. What a great song, I was a trombonist in Arlington High School at the time these guys did the talent show there!! They were such great musicians!! !